The composer-performer workshop invites people who work with a performative approach to composition and research, those who are curious about the performativity of sound and music. quires a strong focus and a different, very open and challenging way of com-posing and preparing pieces for performance. The people we want to bring together for this workshop are those who seek to move fluidly between the positions of writing and performing, making and doing, planning and trying. Open to re-defining how composing and performing might work, open to becoming someone different through that process. We will choose a group of people with the potential to work and create together. Our focus is on work, on the process, rather than the finished product. 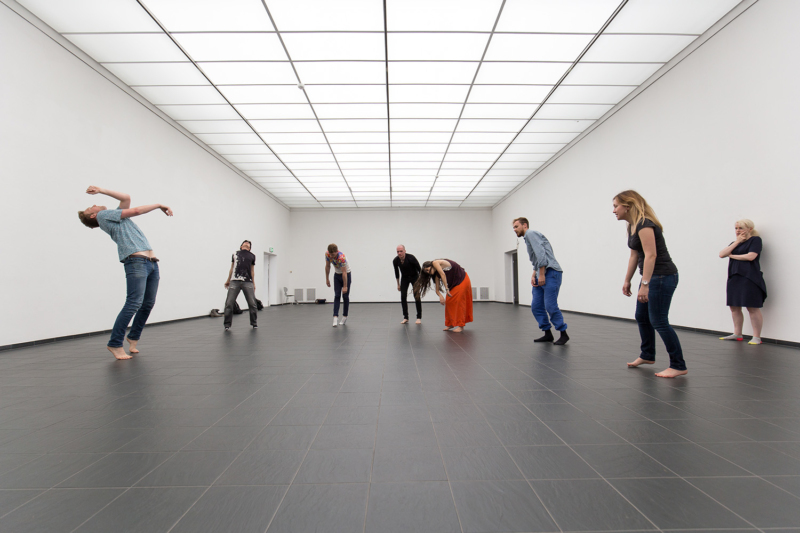 We will though, of course, finish the workshop in Darmstadt with a performance night. During the workshop we will work on the physicality of sound and music, on the body on stage, on the relation to audience(s), on observation and self-performativity. Next to exercises, experiments and mini-pieces every participant will produce a piece, either by themselves or in collaboration with other members of the workshop. What is our practice? How do we work, research, consume art? How do we keep fit for art? How do we train to make and perform it? How are we the audience of our own works? How do we experience the works of others? What are forms of collaboration? What is constructive criticism of this new type of working (out-side-ear/eye)? New kinds of pieces demand new ways of producing and preparing – how do we ask what a piece needs? What are the conditions for production and how do they influence what the piece is? What is the theater of concert situation?